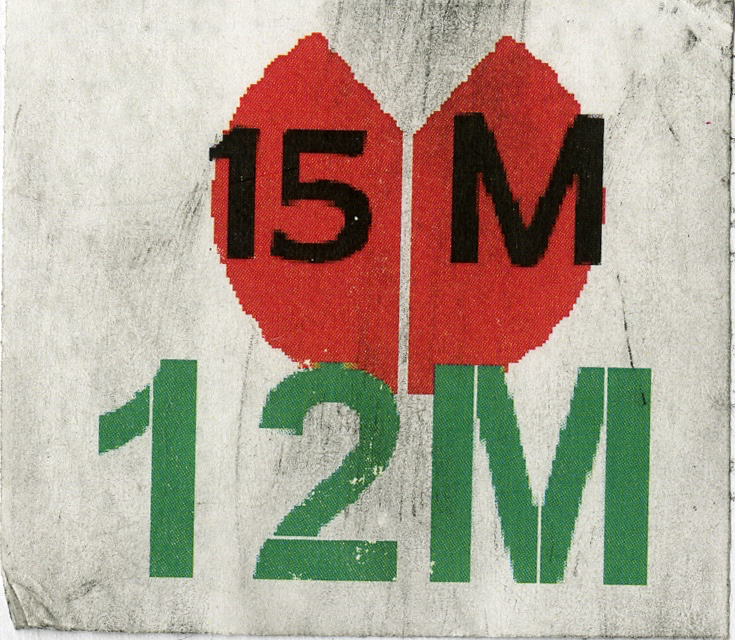 The image on the sticker is a red abstract flower, symbolizing protest. The text on the sticker refers to the dates, May 15th and May 12th of the year 2011. From May 12th - 13th people in Spain occupied public squares in protest agaisnt the current political and economic systems at the time. Sparked by Democracia Real YA, a grassroots citizens organization, the 15-M or Indignados Movement was the start of a revolutionary movement in Spain.